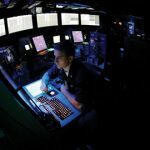 The U.S. Navy has awarded five companies potential five-year contracts to provide software and system maintenance support for the service branch’s command, control, communications, computers and intelligence systems. The Defense Department said Tuesday the Navy’s Space and Naval Warfare Systems Center Pacific received 15 proposals for the cost-plus-fixed-fee contracts, which include a three-year base period and two option years. SPAWAR selected Booz Allen Hamilton (NYSE: BAH), Scientific Research Corp., ODME Solutions, General Dynamics’ (NYSE: GD) information technology business and Solute for the multiple-award, indefinite-delivery/indefinite-quantity contracts. The contracts cover systems engineering, information assurance, infrastructure, software maintenance, integration and training support for SSC Pacific’s maritime global C2 family of systems and other C4I projects, according to DoD. DoD said work will occur in San Diego, California, and at the companies’ respective facilities in the U.S. through Sept. 26, 2019.